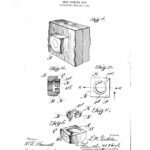 Description: Patent for a “simple and efficient device” for “securely holding a nut upon a bolt”. 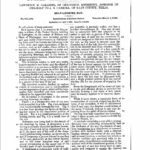 Creation Information: Galliher, Lawrence M. March 6, 1906. 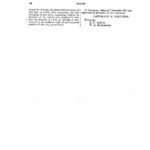 Description: Patent for improvements in the construction of stitching-horses by re-configuring the original constructions, in order to make them better for users. 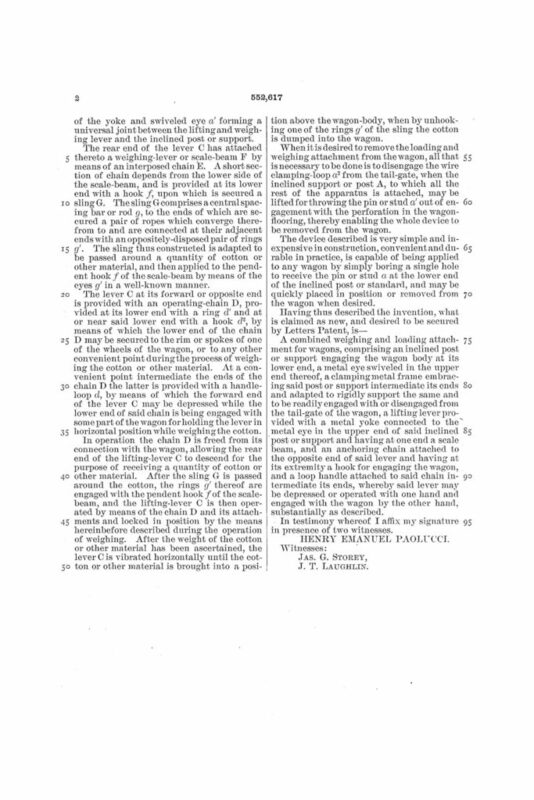 The patent includes instructions and a single illustration. 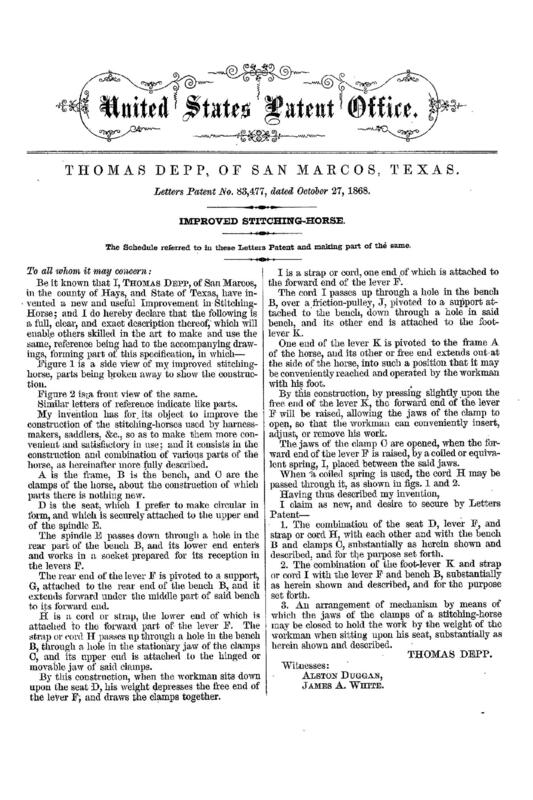 Creation Information: Depp, Thomas October 27, 1868. 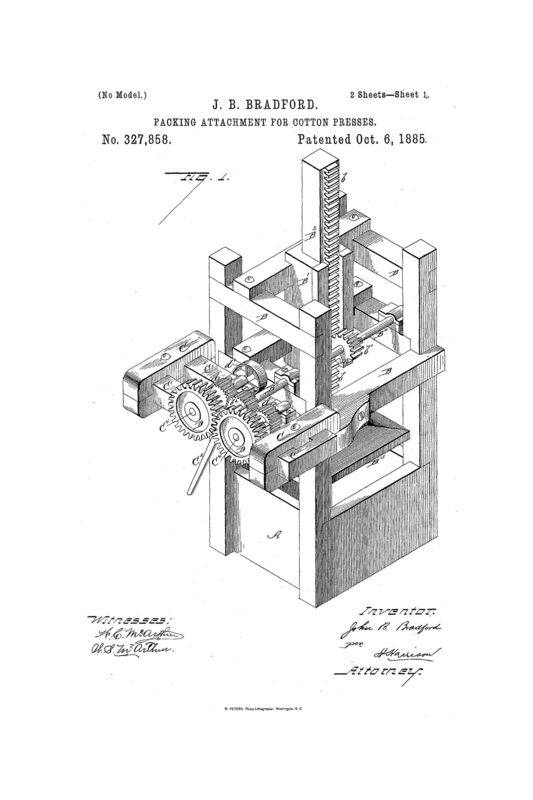 Packing attachment for cotton presses. 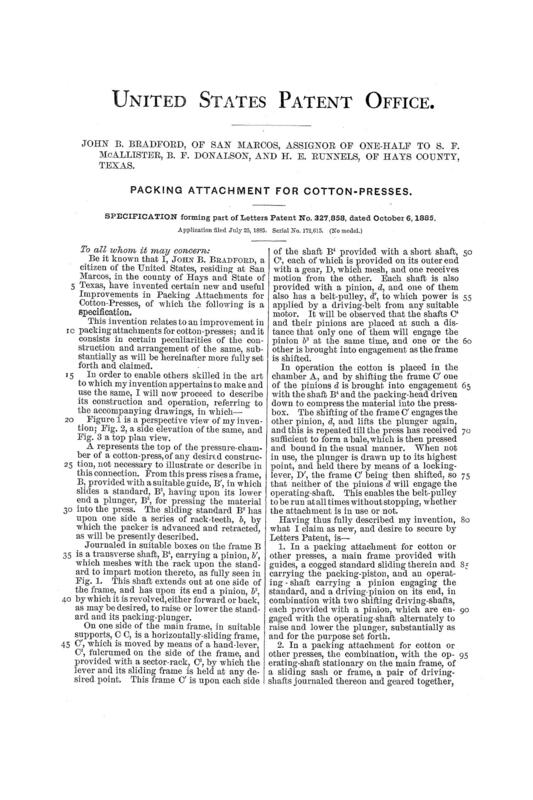 Description: Patent for improvement of packing attachment for cotton presses. 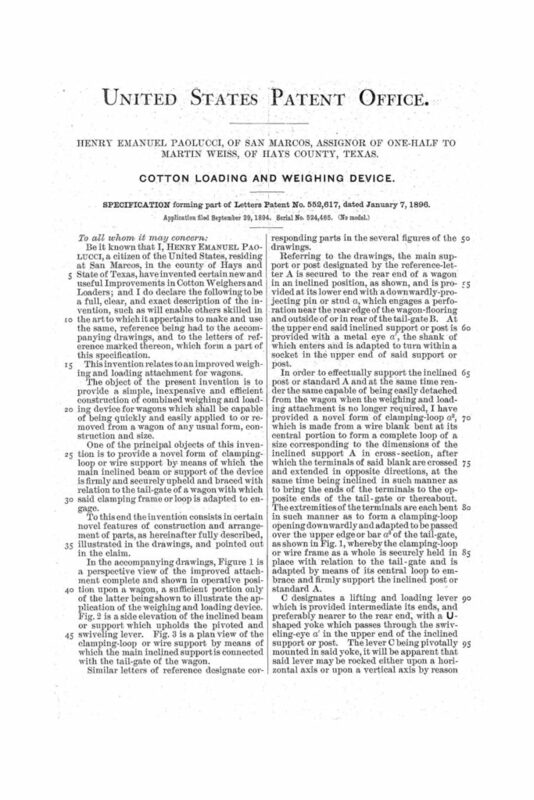 Cotton Loading and Weighing Device. 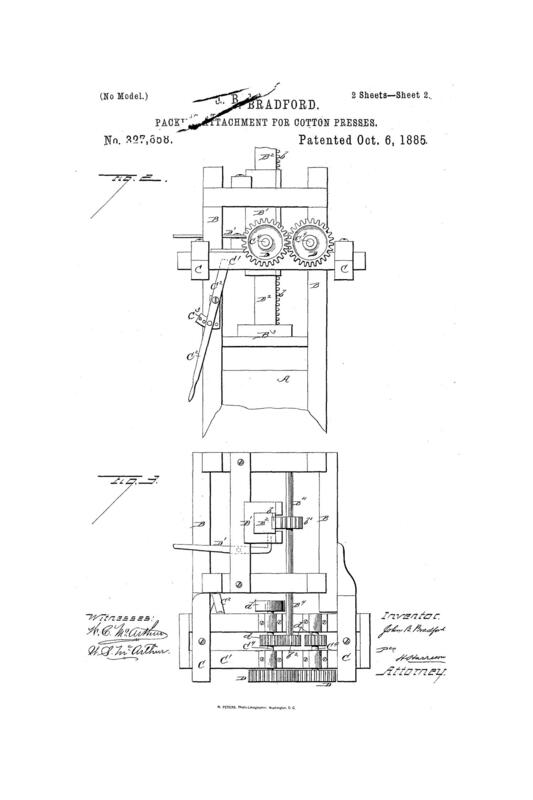 Patent for a simple, inexpensive, and efficient cotton loading and weighing device for wagons. 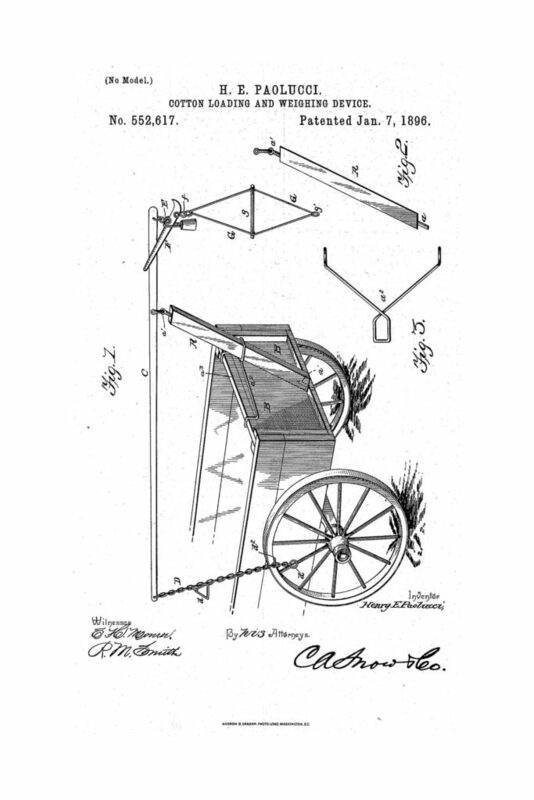 It can be easily put onto or removed from any wagon. 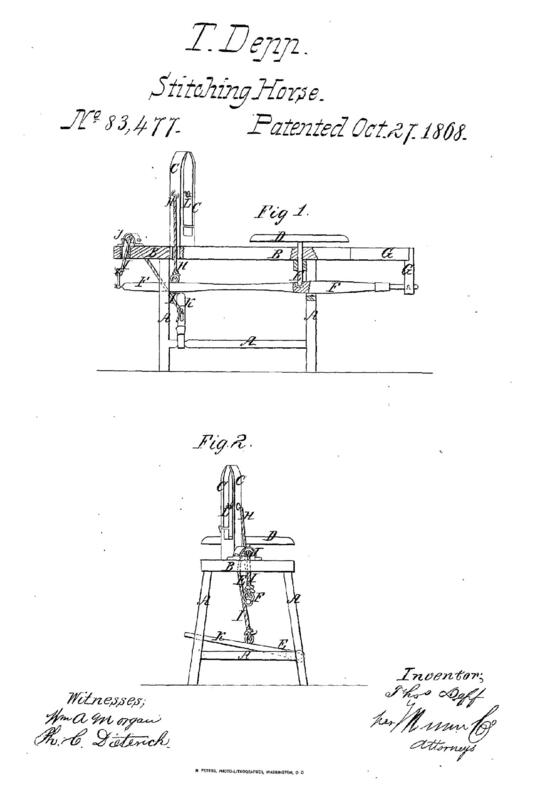 This invention has a unique way of “clamping-loop or wire support by means of which the main inclined beam or support of the device is firmly and securely upheld and braced with relation to the tail-gate of a wagon with which said clamping frame or loop is adapted to engage” (lines 25-31). 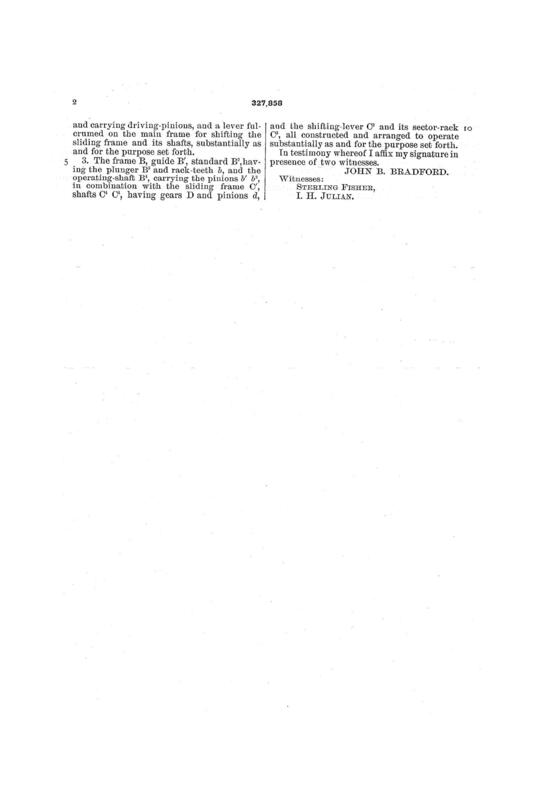 Creation Information: Paolucci, Henry Emanuel – Dated 7 January 1896. 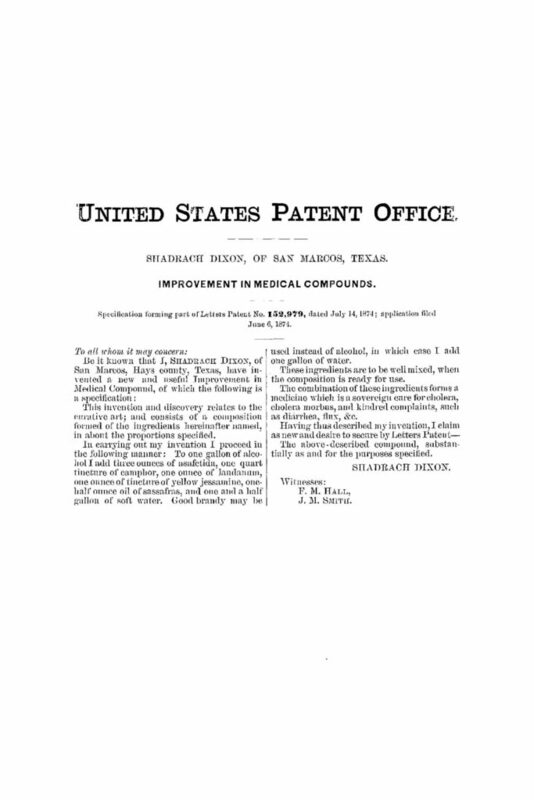 Description: Patent for a medical compound of alcohol (or “good brandy”), asafetida, camphor, laudanum, yellow jessamine, sassafras, and water.